This is a really, really good taco. 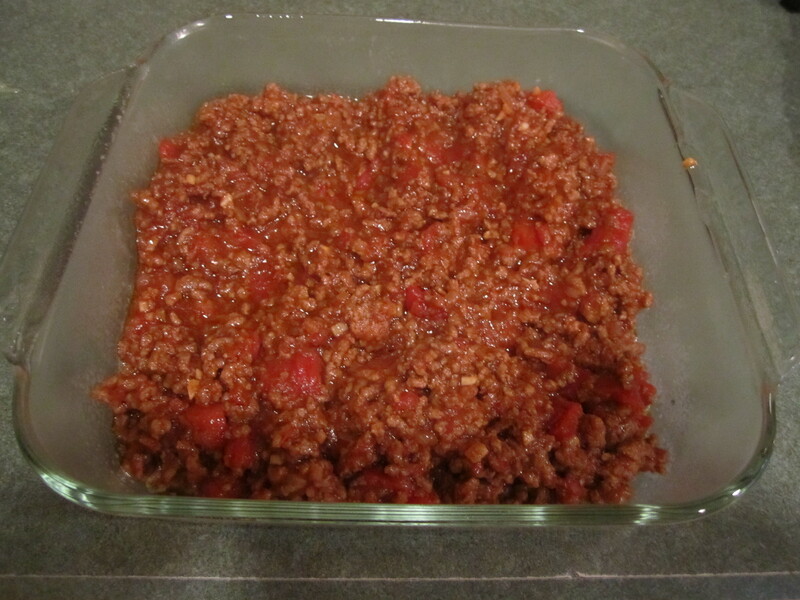 Much better than the one I’ve been making all these years with ground beef and a jar of salsa! I had most of the ingredients on hand and it went together quite simply. The recipe calls for crisp taco shells but we had them with soft flour tortillas tonight. Either way is great. 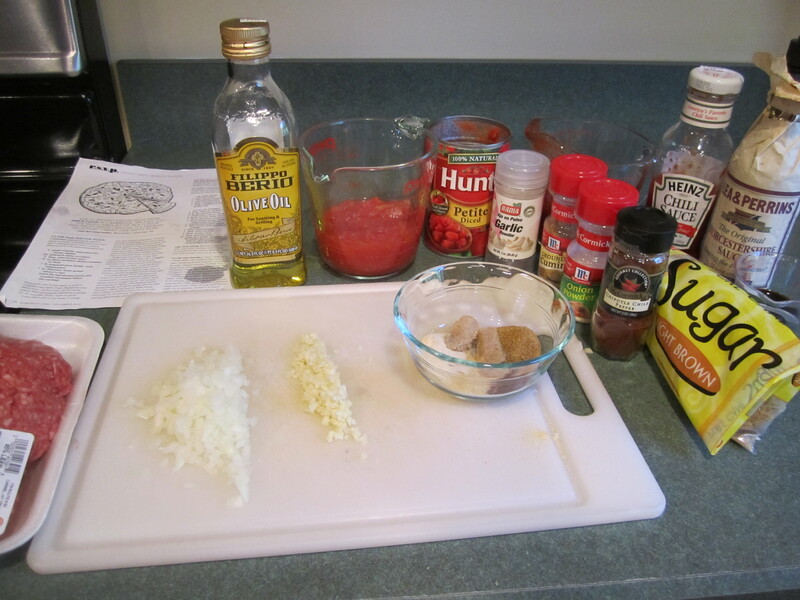 For the filling, below are the halved amounts I used but I really followed the recipe exact (except for the chili powder, I reduced that a bit and the tomatoes.) The only real difference was , the simmering times were less because of the smaller quantities. 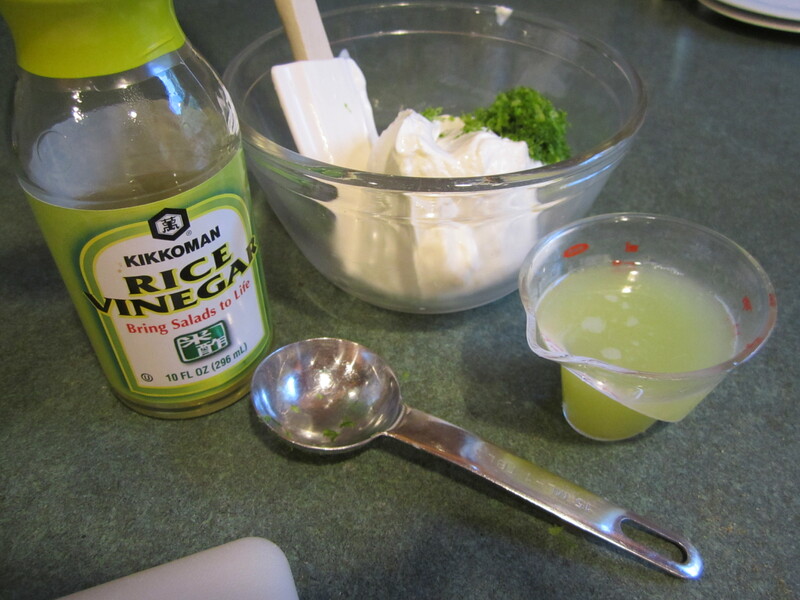 The lime sour cream I followed exactly except I did not include the cilantro. I am afraid I agree with Ina Garten, who does not like the herb at all. 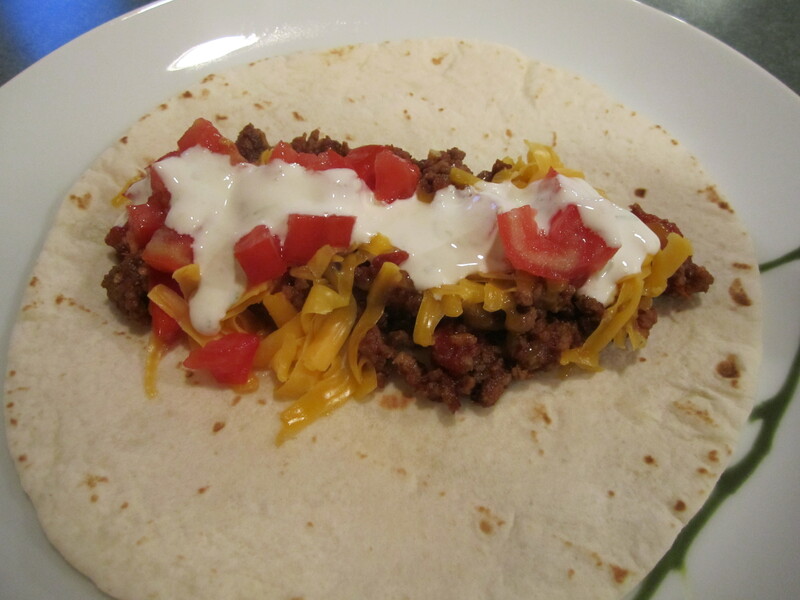 But you must make the sour cream sauce, I think it makes the taco complete! I cheated a little and only refrigerated it for a 1/2 hour but it was still excellent! 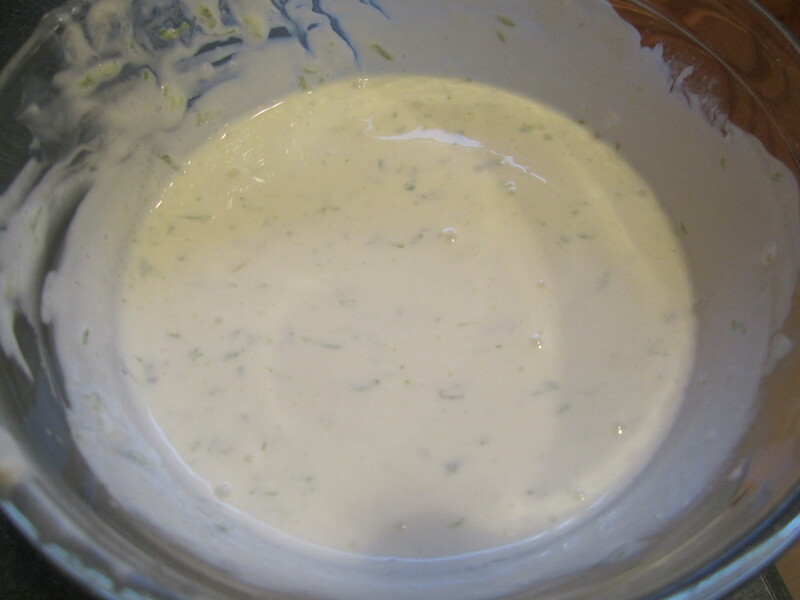 Lime sour cream: whisk all ingredients together in a medium glass bowl and refrigerate for at least a 1/2 hour or more. Filling: Heat 1/2 tablespoon of oil in a large skillet over medium high heat. 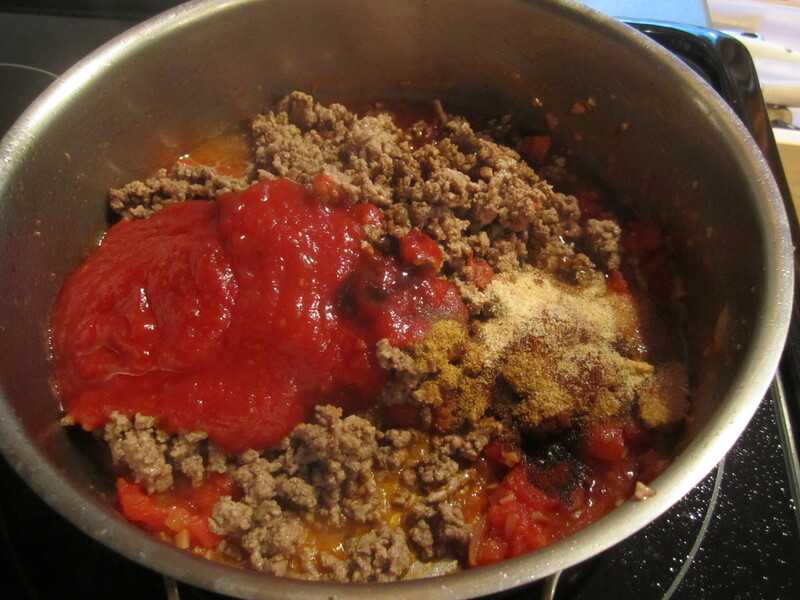 Add ground beef and cook, breaking up meat, until cooked through, about 4-5 minutes. Transfer to a medium bowl. 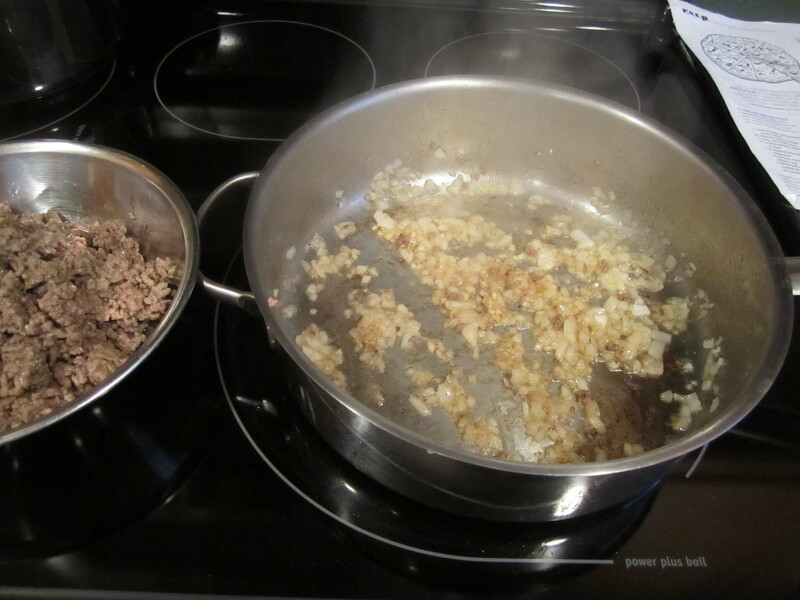 If there is too much fat left after cooking the ground beef , throw it out. Then reduce heat to medium and add 1/2 tablespoon of oil to skillet. Add onion and garlic and cook, stirring occasionally for about 2-3 minutes. Preheat oven to 400 degrees. 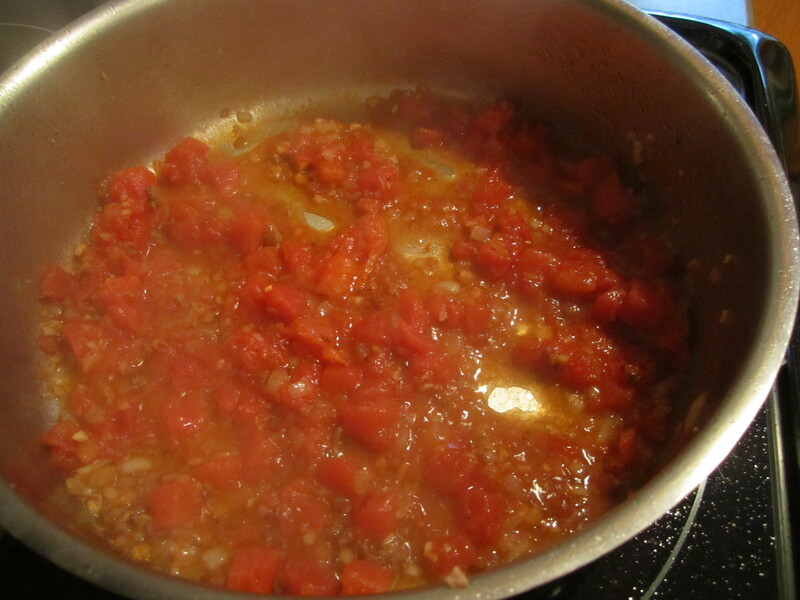 Add tomatoes to skillet and cook until most of the juice has simmered away, about 5 minutes. 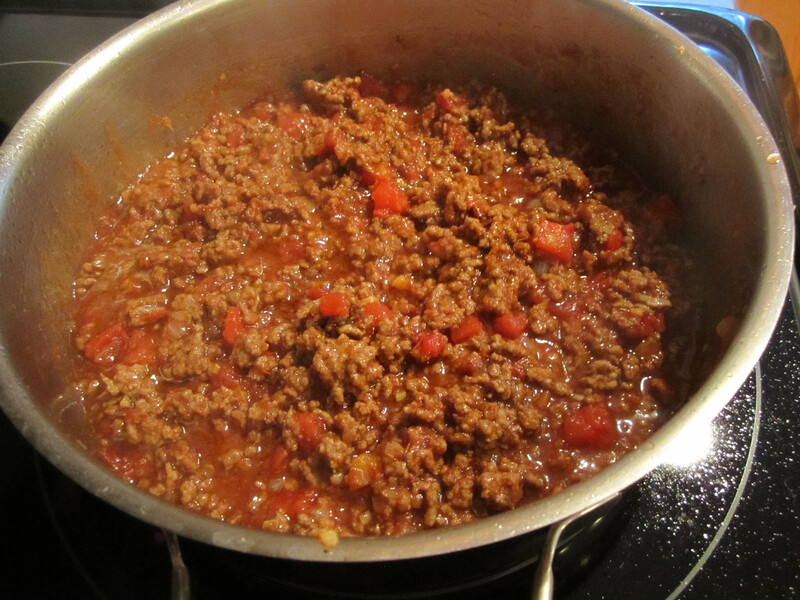 Add beef, chili sauce, Worcestershire sauce, spices and brown sugar. Simmer, stirring occasionally, for 8 to 10 minutes. Pour into an 8 or 9 inch square baking dish, sprayed with canola spray. Bake for about 30 minutes until a crust forms. Spoon filling onto warmed flour tortillas or crisp taco shells, sprinkle with cheese and tomatoes and drizzle with sour cream sauce. Serve immediately. I hate cilantro too! I didn’t realize I was in such good company! I always just substitute parsley when the recipe calls for cilantro. haha! that’s so funny! I never admitted it to anyone until I read that Ina Garten didn’t like it. Then I thought it was ok to reveal my secret! Tried this last night – thanks for blogging about it, it was terrific! 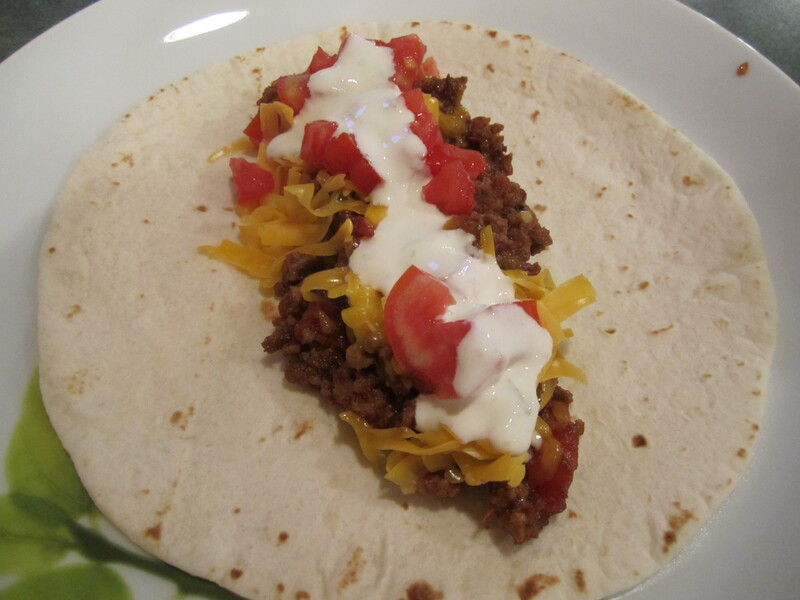 Yes, it’s better than how WE used to make taco’s too (ground turkey with that disgusting taco spice mix!). 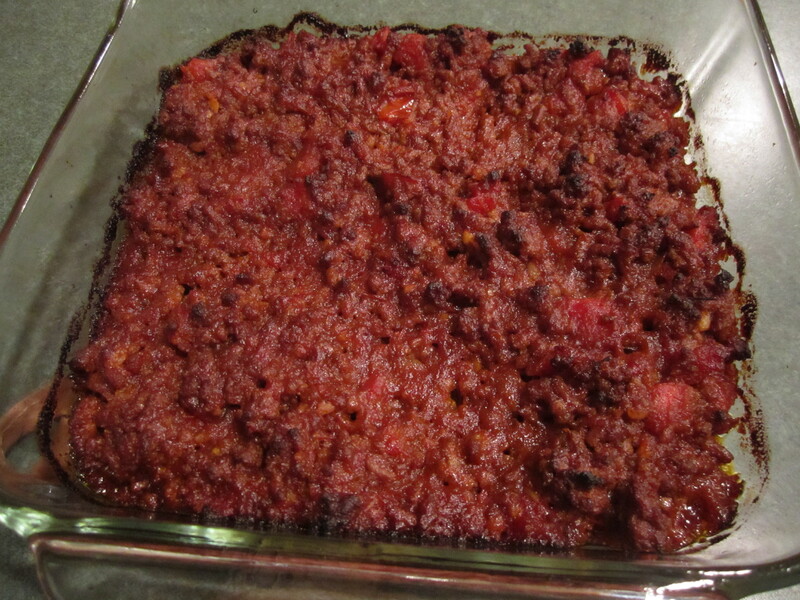 BTW – here’s how I “altered” this recipe: used parsley instead of cilantro in the sour cream; used fresh tomatoes (diced, with their juice) instead of canned; made my own chili sauce (home made “tomato sauce” [marinara], brown sugar, vinegar, cinnamon, closes, allspice); added chopped lettuce as a topping; saved about 1 tablespoon of the ground beef fat and used that to cook the onions and garlic instead of adding oil; only added the garlic for the last minute of the onion/garlic saute since it tends to brown faster than onions. Glad you liked it! Loved everything you did and your chili sauce sounds yum!